Sugar Bro closed the night fresh from their Yamaha Asian Beat 2016 victory 2 weeks prior. ‘524321’ excitedly kicked off their set with ever-changing drum rhythms from Ronny Yeung, arpeggiated bass lines from Kirk Wong, and alternate picking, off beat and palm-muted guitar work from Kan Lo and Gordon Kwong. Despite the inclusion of so many ideas, the overall sum ended up sounding very similar to an early Fall Out Boy track. The pop-punk continued with the drum intro to ‘I Love What Kind Of Song That I Am Playing’ before a ‘Hysteria’-induced drone riff came to the forefront. The song was bouncing with energy throughout, with the chorus unashamedly soaring like that of Punk veterans Green Day. The mid section drums crashed creating an unhinged juggernaut effect, with a whirlwind of string bends which somehow tied altogether again for one final chorus. ‘Cool’ portrayed a nice range of styles and dynamics, such as funky guitars, dancey drum beats, volume fades, and a bouncing bass line. The vocals were unfortunately lost in the mix, making any lyrics close to inaudible throughout, but the highlight of the track came with a tastefully melodic guitar tapping line from Lo, before Kwong added a clever harmony part, also tapped gracefully. As this became reminiscent of early Foals interplay, Wong steered the direction further with double tapping on the bass. Fourth track ‘自由渴望’ included a dry guitar riff in the ilk of Arcade Fire’s ‘Normal Person’ over descending scuzzy chords, and root note bass lines. The song seemed relatively nondescript rock music in comparison to previous numbers, until the outro exploded with a low metal riff and slapped bass, in the vain of Muse at the end of a show. The metal vibe continued into closer ‘We Are Not Wrong’ with a clear nod to Rage Against The Machine’s ‘Bulls On Parade’ in the intro, an Alien Ant Farm tinged verse with palm muted guitars, and slightly forced Paramore-esque chorus. Kwong concluded to utilise Tom Morello tricks in the guitar solo, with a wavering octave pedal over tremolo picked runs high up the neck. 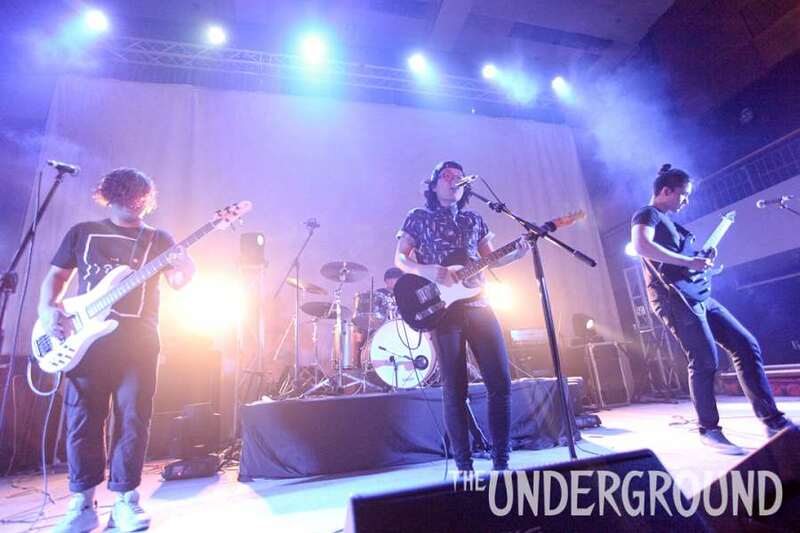 Despite the quiet vocals, Sugar Bro certainly did enough musically to convince the audience why they’re one of the hottest bands in Hong Kong right now. While they clearly work well together melding styles and performing with confidence, it’s bassist Kirk Wong who steals the show with his infectious enjoyment on display which constantly draws the most attention. With catchy tunes, a fun stage presence and tight playing, Sugar Bro ticked all the Planetrox judges’ boxes, so it hardly came as a surprise when the band won. Sporting an array of questionable hairstyles, the four-piece took to the stage with gusto to deliver an energetic and infectious set. From the first notes of Fly To Fall Free To Run, the group got the room moving with party-starting pop punk recalling the skater rock shenanigans of Fall Out Boy. Built around a choppy, angular indie riff, the aptly-named Cool evoked the guitar pop of Two Door Cinema Club. Lyrics about lipstick stains were cliché yet catchy in the sunny song, which did go on a bit too long – this kind of music works best when things are kept snappy. Lead singer Kan Lo took a breather to thank his mum, his mum’s friends, and even his mum’s friends’ friends before the band stormed through set closer and Sugar Bro flagship track, We Are Not Wrong. Drummer Ronny Yeung, who may actually be part-machine, pounded his kit while the rest of the band summoned up a chilled 1975 vibe to finish. Later, when Chris B announced they had won, Kan burst into tears and could barely contain his joy. Deserving winners of an incredible prize. Well done Sugar Bro! 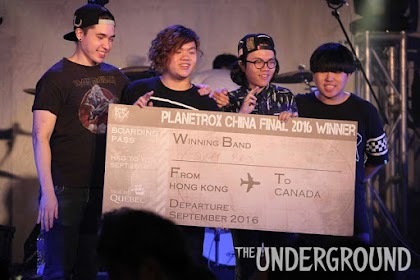 Planetrox China Final 2016 Winning band! 冠軍樂隊!